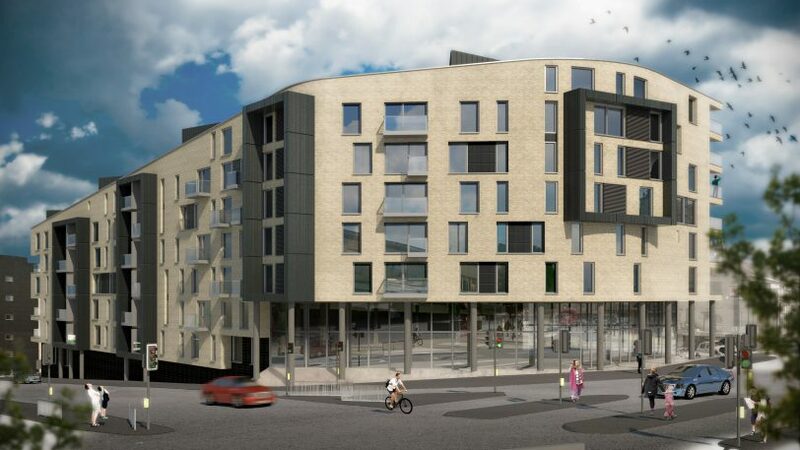 Halliday Clark have been involved with Hamm Strasse site since 2008 when it recieved an outline permission for a large mixed use scheme. Our client instructed us to submit a revised application and following a lengthy planning process Halliday Clark gained approval in 2018. The scheme was approved unanimously at planning committee and includes 104 1 bed apartments with 64 2 bed apartments across the sloping site. 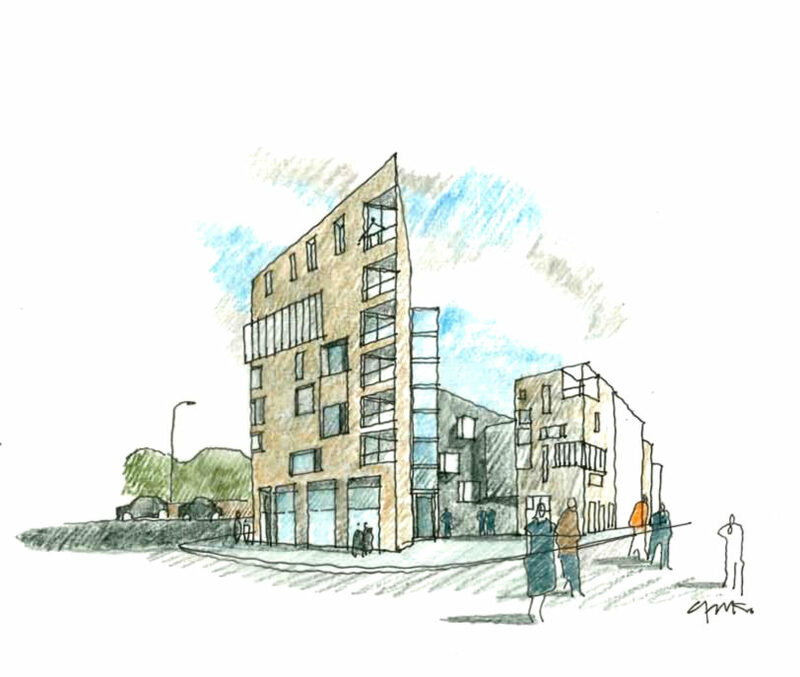 The design relates heavily to the context of the site with it’s roof sloping up to meet the Penny Bank building opposite.